Citizenship Day – every day's a holiday! September 17 is one of the most important dates in U.S. history. In fact, it’s known as Citizenship Day, yet most Americans would be hard-pressed to tell you why. On September 17, 1630, the city of Boston—North America’s cradle of liberty—was founded by some of the country’s first immigrants. Wee shall be as a Citty upon a Hill, the eies of all people are uppon us. But that’s not why September 17 is Citizenship Day. 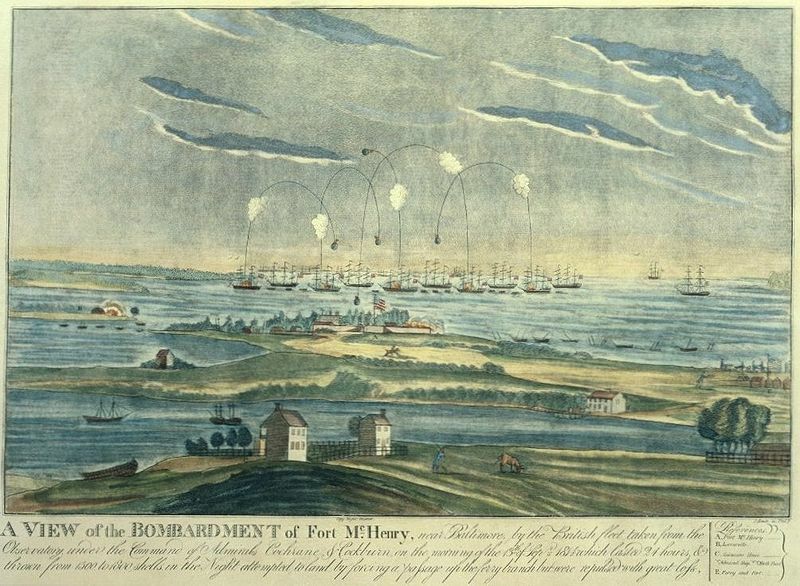 No, September 17 was the day in 1814 that a 35 year-old lawyer-poet printed a poem based on his experiences in the bombardment of Baltimore in the War of 1812. But that’s not why today is a national holiday. Nope. In fact, September 17, 1862 was the bloodiest day in American history. 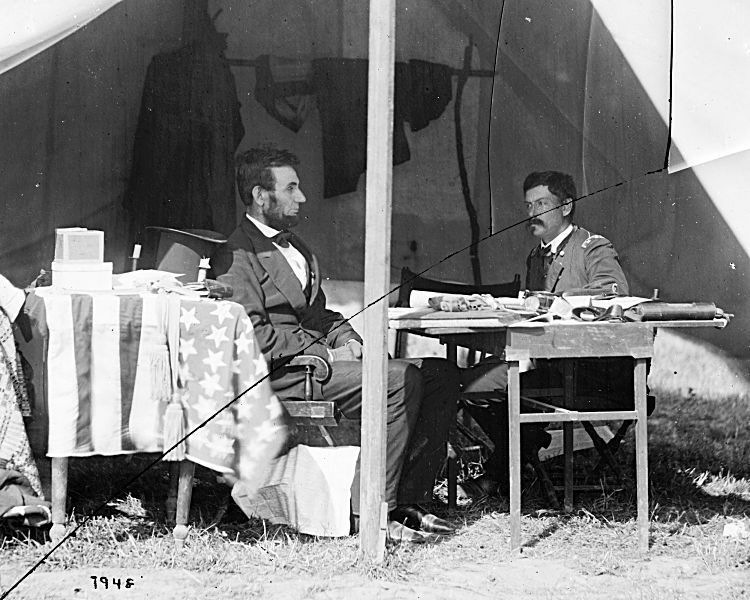 For President Lincoln, it was a much-needed, well, tie. He’d been waiting for a Union victory to issue his proclamation to end slavery, without it looking like a last-ditch act of desperation on behalf of the North, which had been losing battle after battle. Five days after the carnage of Antietam, Lincoln announced that as of January 1, all slaves in areas of rebellion would be free. But again, that has nothing to do with September 17 being Citizenship Day. Citizenship Day honors perhaps the most important date in American history. Yet you will hear no fireworks, see no parades or marching bands, and you won’t get a day off school or work. Unless you’re in grade school, you will probably go throughout your day without any sign of its passing. 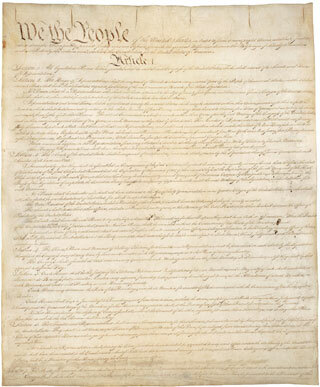 If you are in grade school, however, U.S. federal law mandates that your lessons this week include instruction on the document created on this day in 1787 by the Constitutional Convention in Philadelphia. That’s right, September 17 is Constitution Day in the United States, aka Citizenship Day. Before the Constitution, the Articles of Confederation had kept the newly-independent states loosely “united”, but made no provisions for a central government with any practical power. The Articles’ weakness was made apparent by a rebellion of irate farmers’ (Shay’s Rebellion) that U.S. troops were unable to stem, and which was finally put down by state militia. A convention of state delegates convened in 1787 to resolve the problem of the Articles. James Madison, a 5’4″ Princeton graduate and a delegate from Virginia, was 36 years old at the time. His studies of political theory and European governments convinced him that only a system of checks and balances could prevent a strong government from descending into tyranny. Madison, who would be the country’s fourth President, is also considered the Father of the Constitution. In addition to checks and balances between the executive, legislative, and judicial branches, the Constitution’s secret to longevity was a self-contained instruction guide for amending itself. The first ten amendments, ratified in 1791, guaranteed the states that the Congress of this new powerful, strong central government would pass no law restricting essential freedoms. The Constitution was amended just five times over the next 100 years. Over the past 100 years, it’s been amended another dozen times. Happy Mothers Day to all moms in the World! Tomorrow is Mothering Sunday here in the United States and I know that eventhough it is celebrated on a different dates depending on your location, I still want to greet all mothers!